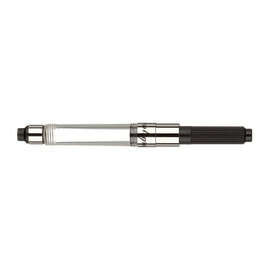 The silky matt finish and the linear design on the barrel and cap, give the Nero Uno Linear a sporty feel. 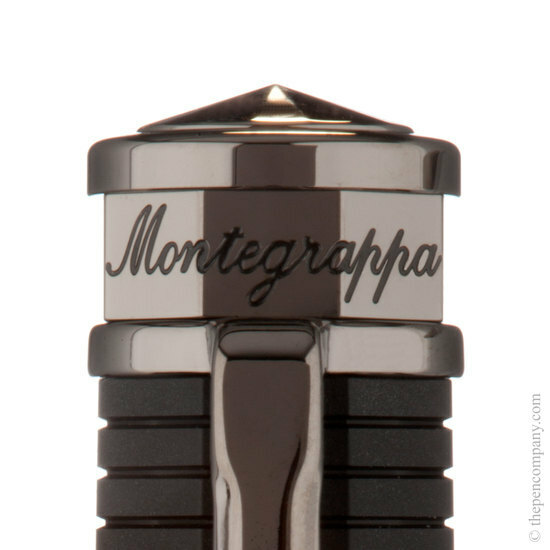 Montegrappa have also used an unusual smokey-grey finish to the polished trim, which is an ideal contrast to the matt resin barrel. The Nero Uno Linea retains the octagonal shape and elegant tapered lines of the original Nero Uno, giving the Linea an up-to-date modern look and feel. 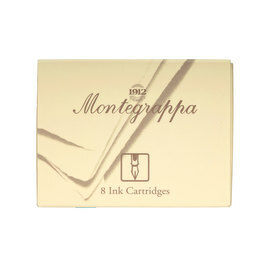 This Montegrappa Nero Uno Linea fountain pen writes smooth as silk. 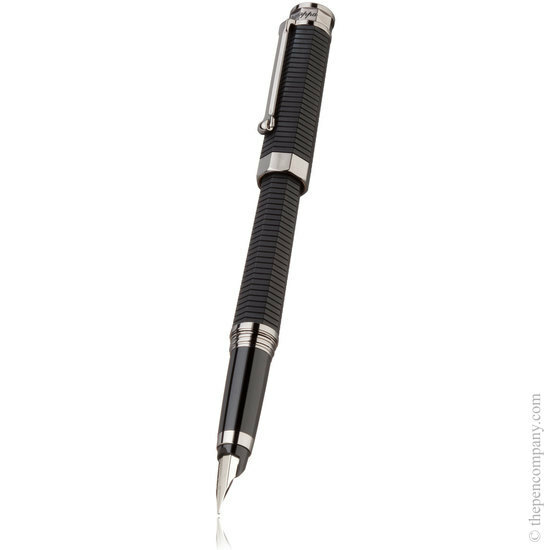 I purchased the Fine Point Nib version of this fountain pen. It just glides across the page effortlessly. 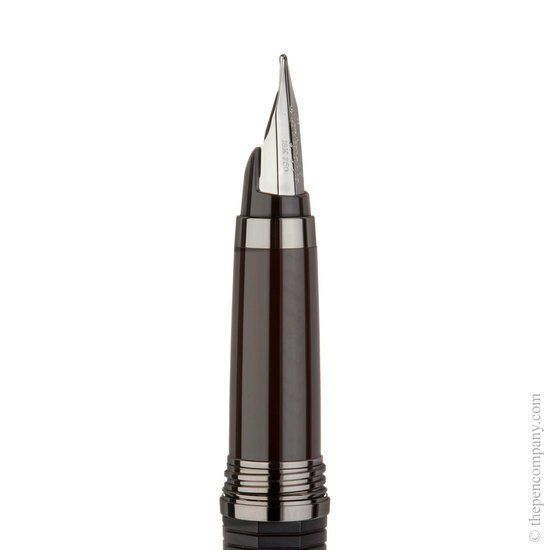 The nib is soft and has some give; a semi-flex feel. I got this pen with an EF nib, though I'd say it was more of an F (when compared to other Western pen nibs). But, apart from that, it's excellent. The nib is smooth, the ink flow is good (on the Wet side of average, I'd say), and, after writing a four A4 page letter I can definitely say that it's comfortable to use (I was worried that the octagonal body and grooves might be uncomfortable in the hand, but they simply are not). 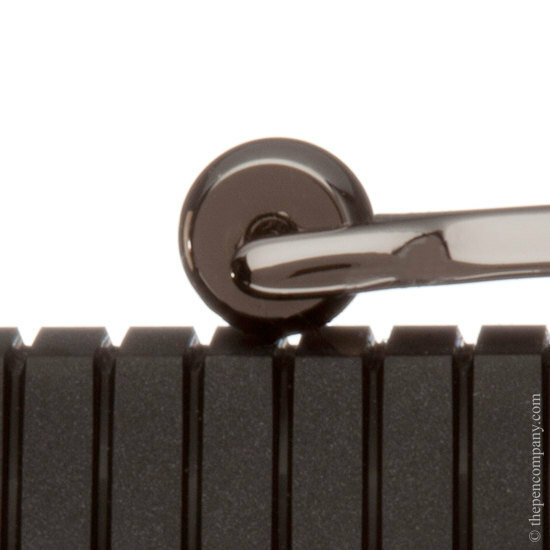 I love the appearance of the smoke-grey trim, and the roller on the end of the clip is a neat and effective idea. Very happy.